Hyperkalemia is a serious condition that is caused by excess amounts of the mineral potassium in the bloodstream. Left untreated, hyperkalemia can lead to permanent damage and even death from changes in heart rhythm. Although hyperkalemia is a serious condition, it is also one of the most easily treated electrolyte abnormalities. Administration of calcium gluconate is the main treatment for this condition. Hyperkalemia may develop for a variety of reasons, including the use of certain kinds of medications or eating foods that have high levels of potassium. Additionally, some people with chronic diseases that affect the kidneys, such as diabetes, can develop hyperkalemia if the kidneys are unable to filter enough potassium out of the body. This can result in a buildup of potassium in the bloodstream. According to Virginia Commonwealth University, approximately 90 percent of the body's potassium is found within the cells, 8 percent is in the bones and 2 percent is in the fluid surrounding the cells. When a person develops hyperkalemia, the potassium has gone out of the cells and is circulating in the bloodstream. One of the mechanisms of treatment through calcium gluconate is to change the cell membranes to correct the balance of that potassium. The normal range of potassium in the bloodstream is between 3.7 and 5.2 milliequivalents per liter (mEq/L). Hyperkalemia is considered to be a potassium level greater than 5.5 mEq/L. The most significant effect of hyperkalemia is that it can cause changes in heart rhythm. 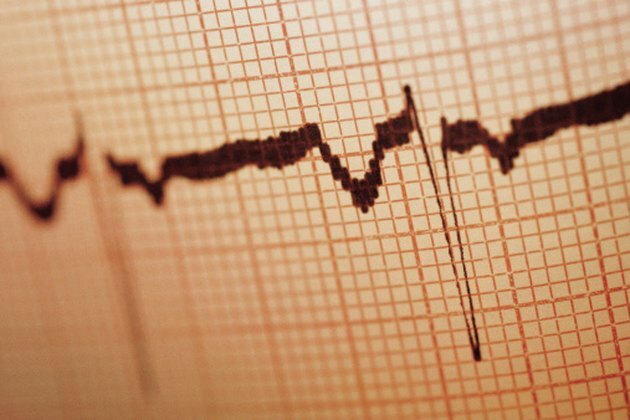 A person with hyperkalemia may develop a low heart rate, known as bradycardia; an extremely high heart rate, known as tachycardia, or serious heart rhythm abnormalities, including ventricular fibrillation or even asystole, which occurs when the heart stops beating. Other effects of hyperkalemia include changes to the neuromuscular system, which can involve muscle spasms, weakness or even paralysis. How Does Calcium Gluconate Work? The first method of treatment for hyperkalemia is to give calcium gluconate. During hyperkalemia, potassium shifts outside of the cells and into the extracellular fluid of the bloodstream, and changes occur in the voltage of the cell membrane. This causes the muscle cells in the body, particularly the heart, to become more excitable, which results in ECG changes and abnormal heart rhythms. Calcium gluconate restores the balance of the voltage of the cell membrane; reducing heart muscle excitability and resolving many changes in heart rhythm seen on an ECG. Of the types of calcium given for treatment of hyperkalemia, calcium gluconate is the first choice because it can be easily regulated and there is less risk of toxicity, such as in cases where calcium chloride may be administered. Calcium gluconate is not always given to patients who are already taking medications to regulate the heart rate, including digoxin, because the calcium gluconate can cause toxicity of that type of medication and worsen the patient's condition. In this situation, certain changes on the ECG warrant careful administration of calcium gluconate, which is decided by a physician. Calcium gluconate is typically administered intravenously over a period of two to three minutes. Its effects last for 30 to 60 minutes, which can give a physician some time to try to determine the cause of hyperkalemia and to provide further treatment through such measures as dialysis to correct potassium levels.